Minister for Defence Industry Christopher Pyne has announced the release of a request for proposal for the South Australia-based Naval Shipbuilding College. The government said the college, a key initiative of the Naval Shipbuilding Plan released earlier this month, will attract, train and retrain naval shipbuilding workers for the government’s $90 billion shipbuilding program. "As outlined in the Naval Shipbuilding Plan, the naval shipbuilding workforce is expected to grow to around 5,200 workers by the mid to late-2020s, with more than double this number of workers in sustainment activities, supply and related industry chains across Australia," Minister Pyne said. "The release of the request for proposal is an important step in ensuring the required workforce is equipped with the right skills at the right time to implement the government’s ambitious naval shipbuilding program." The minister has said the college will eventually move into including higher education qualifications, but initially will concentrate on entry-level trades. 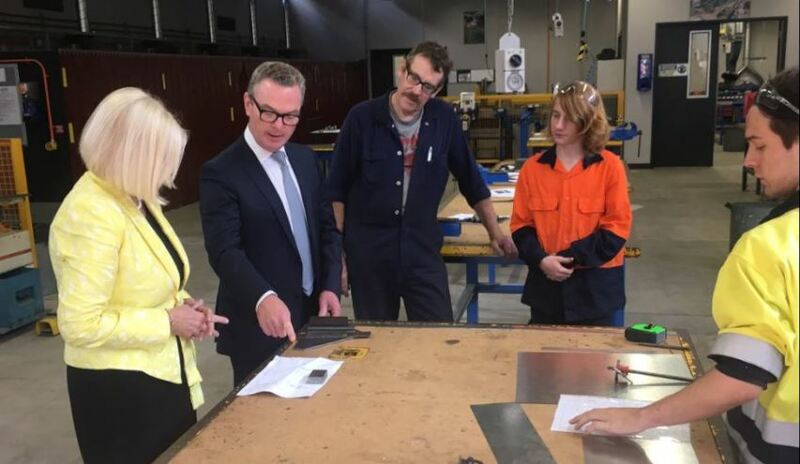 "Developing training to facilitate career paths from entry level trades to more senior positions like foreman and middle managers will be important," Minister Pyne said. "The Naval Shipbuilding College will also reach out to workers in adjacent industries, including those recently made redundant in the automotive industry." Although key entry-level trade qualifications in Australia are typically provided through a traditional apprenticeship pathway, which involves an employer recruiting an apprentice and training them on the job, shipbuilders in SA are unlikely to recruit many apprentices before demand begins to ramp-up in the early 2020s, which raises the question of how apprentices in these trades will receive the on-the-job training required for their trade.